Q&A with Sara Barnard | YAShot 2018 Blog Tour! Hi Sara! Thank you SO much for popping onto the blog today and answering my questions. Here we go! What inspired you to write? Is it something you have done all your life or something you came to a little later? I’ve been writing since I was really young, so I don’t actually remember a time when I wasn’t doing it! My dad is a writer so I think it was always a natural thing for me to just make up my own stories. Why do you choose to write Young Adult books? Why do you think YA books are so important? I just really enjoy writing about teenagers. I think they’re really important, especially for girls, because they are one of the only places where girls’ stories are centred and championed instead of being side-lined. I totally agree with you! As a secondary school teacher I think it’s very important teenagers can see themselves reflected in literature and I think that YA books do this well. Can you share a bit about your writing process with us? Are you a thorough planner? Do the characters come first or the plot? Can you pick five words that summarise each of your books? I LOVE how clever your answer is for Goodbye, Perfect. You’ve managed to perfectly capture your books here. Can you pick a song that reminds you of each of your books? Suzanne. She’s always been my favourite! There is a focus on the dynamics of female friendships in your books, which is one of my favourite things about your books: was this something you did intentionally? What inspired this? With BBT I wanted to write about female friendships when they were right at the centre instead of being sidelined. And then with the next couple of books it was always just a part of it. I can’t seem to keep away from them! I think they’re endlessly fascinating and something every girl has some experience of in different ways. 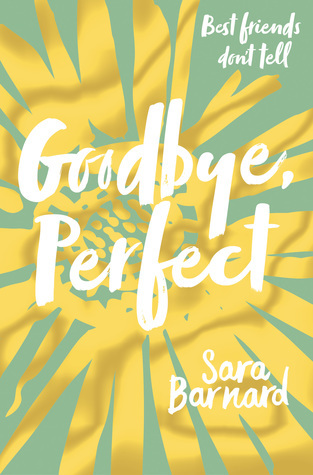 Goodbye, Perfect (which is perfect, by the way) is your newest book baby. The book has a huge focus on a pupil/teacher relationship: how did you go about tackling this hugely controversial topic? I wanted to be as honest as possible about the experience from Eden’s point of view. I wasn’t interested in actually telling the pupil/teacher relationship story; it’s all about how it affects Eden and what it’s like for her dealing with the aftermath. Eden is the main character in Goodbye, Perfect do you think she would be friends with Steffi and Caddy if their worlds collided? Probably not! I think both Caddy and Steffi would feel very intimidated by her and wouldn’t even try, though Eden would be friendlier than they expect. Eden has a lot of edge, and they’re both quite soft characters. Can you recommend three YA books that you think everyone should read? Favourite soundtrack/album? – Not sure I have an all-time favourite but I love the Alexi Murdoch album, Time Without Consequence, which was most of the soundtrack to the film Away We Go. Favourite movie? – I don’t have a single favourite, but I do love big blockbuster disaster movies like 2012 and San Andreas. A quote that inspires you? – It always seems impossible until it is done. Sara lives in Brighton and does all her best writing on trains. She’s written, ‘Beautiful Broken Things’, which was selected for the Zoella Book Club, ‘A Quiet Kind of Thunder’ and ‘Goodbye, Perfect’. She thinks sad books are good for the soul and happy books lift the heart. Us too. Click on the covers below to find out more about Sara’s incredible books. If you enjoy YA contemporary novels then I really do urge you to pick up Sara’s books if you haven’t already. 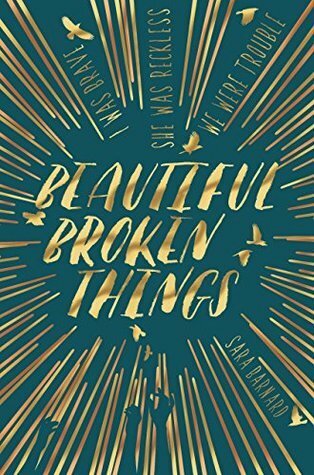 If you are in the US, please note that Beautiful Broken Things has a new name of Fragile Like Us. Sara writes books full of feeling, with emotional plot lines and some of the most gorgeous characterisation you’ll find in YA. Treat yourself! Another huge thanks to Sara for joining us and also an enormous thanks to the wonderful people who organise YAShot for inviting me to be part of the tour and matching me with one of my favourite authors, I’m such a lucky girl! Have you read any of Sara’s books yet? Which one is your favourite? Will I be seeing you at YAShot this year? ← February: A Bookish Reflection! Great Q&A, Kelly! I love Sara’s answer to the song that reminds her of AQKOT – it’s perfect. I’ll be at YA Shot this year – can’t wait! Ah that’s so great! Yes I loved listening to the music Sara chose. Ooh fab, I’d love to meet you! I love these interview posts, especially the quickfire rounds which are really fun to read. 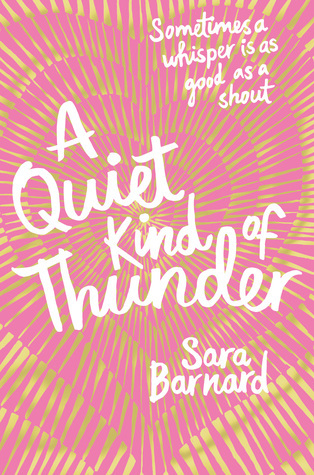 Lovely interview and I am determined that 2018 is the year I will pick up Sara Barnard book! Really interesting interview Kelly! I’ve read all of Sara’s books and absolutely loved them. I really wish I could go as lots of authors I’d love to see are there, but I won’t be at YA Shot. Thank you! Sara is one of my all time favourites so I was delighted to have her as my guest author for the tour!